If you are thinking about investing in modern and stylish windows, you will be overwhelmed for options, as there are a number of choices to choose from. But if you want window function that is both simple and practical, while providing a high level of privacy, then should consider Roman blinds. Roman blinds are typically made from fabric and mounted on the window in such a way that when the shade string is pulled, the fabric folds in a really attractive way. This form of window functionality which has been around for centuries, and can be traced back to early Rome from where it got its name, now come in a wide range of styles and options, so that a new set of Roman blinds can give your home a whole new look and feel. 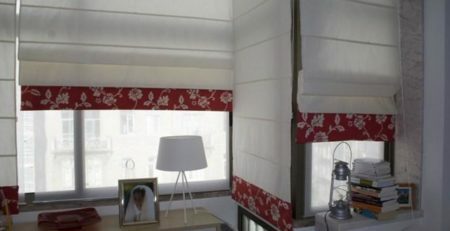 There are several reasons why Roman blinds should be your first consideration for lasting quality and simplicity in window covers, least of which is the affordability. Even though Roman blinds are quite popular, you can be rest assured that they will never go out of fashion. The key is to choose your fabric with carefully it lasts long enough. As we have already established, Roman blinds come in a wide variety of styles and designs so that you are almost overwhelmed for choice. This is perhaps the main benefit of Roman blinds. In fact, when you choose your design, you can opt for either a masculine or a feminine theme. The hobbled fold: This is the more popular option and is made up of loops of fabric that reaches all the way down to the blind. The flat fold: This is a more contemporary style and is made up of just one piece of fabric, installed in patterns. Relaxed fold: This style of Roman blind provides a casual, minimalist look, as the traditional dowel rods are replaced with simple cords running down either side of the drapes. Roman blinds can also be made out of virtually any kind of fabric, and you will be hard pressed to find one that will not suit your space. As a rule, Roman blinds use less fabric than other forms of window blinds. In fact, opting for Roman blinds mean using 25% less fabric. This may not look like much at first, but if you have quite a number of windows, 25% can add up to a lot in savings. So, if you are interested in blinds that will not put too much strain on your finance, Roman blinds are a cheaper option. However, that Roman blinds are affordable does not mean they are only for the budget conscious. Roman blinds are actually ideal for any type of budget and you can even create bespoke pieces. The key is to look for a reliable window blinds specialists and make the most of their expertise. For example, in New Zealand, industry professionals such as Smart Blinds come well recommended. When choosing a window blind, one of the factors to consider is ease of maintenance. For most people, their daily routine is so busy that there is barely time to do chores around the house. But that is no reason to have a dirty and unkempt window. Whether you have all the time in the world on your hands, or time is scarce with you, maintaining Roman blinds will not be a hassle, as they are among the easiest to clean. This singular benefit makes them a lot more hygienic than curtains. They don’t collect as much dust and pollens and are ideal for people that suffer from airborne allergies. While it is true that other forms of blinds are also great looking, you will be hard pressed to find an alternative to Roman blinds that can work well in every room and for every type of window. In fact, they are so versatile that you can use them in the bedrooms or bathrooms. Roman blinds can also beautify almost any kind of window, effectively giving your modern home a traditional curated look. Roman blinds do vary in how modern or classic they are, so you should properly check for details like how they fold when they raise, before making your selections. In the spirit of fairness, it is important to point out that Roman blinds do have certain safety considerations. For example, a typical Roman blind come with a system of cords, rings and sometimes dowel rods that can cause safety risk for toddlers and pets. You should keep this in mind when making your choice. But despite this small factor, a Roman blind will definitely change your work or living space, and for good too. An office is like a second home to most people, so it’s important to make it as comfortable as possible. Imagine a room with so many pieces of equipment and furniture squeezed together with barely any space to move around. It isn’t a pleasant site, is it? It always looks so unorganized and dirty. Oftentimes you are bound to hit something or break something. If something gets lost in such a room, you just have to buy a new one since the probability of finding it is next to nil. So how do you make a squeezed out room, with large windows, look spacious and at the same time modish? If the office has dark painted walls, it will appear too small, but if the color is vibrant and large windows are installed, it will look big despite its actual size. For example, most small offices paint their office white, and by installing large windows, natural light will be reflected throughout the office making it look spacious, cozy and classy. The wall can be painted in different professional colors that easily reflect light. So if you want to create space go bright and vibrant but still maintain professionalism. You don’t want your office looking like a child care center. The office should be arranged in a manner that creates an illusion of space. For example, you can place the office desk near the large windows and the office storage wall on one side. This will make the office more spacious. When arranging your office, you need to be careful on how you place your office furniture. Also, consider hanging the television on the wall instead of placing it on a television stand. This will help create much-needed space in the office and protect the television from damage. The office furniture should go hand in hand with the size of the office. If the office is small, there is no need for a large office desk. A medium-sized or small office desk will still work to your standards. Moreover, the desk can be made in a way that it can also store some of your office equipment and documents which will save on space and also give the desk a modern office look. Due to the large windows in the office, it’s advisable to have small short plants. The plants make the office look stylish and beautiful which increases productivity in the office. Additionally, the large windows will let in enough light so the plants will not die. The office plants create a sense of neutrality, which is complemented by the lighting from the office. Ideally, there is natural fresh air in the office. This will also create much-needed space in the office since the plants can be placed on the desk or near the window, anywhere that they look presentable. The office needs to have good lighting. Large windows maybe fitted but don’t offer a good lighting system as a result of different reasons such as being translucent or having been blocked by another building. 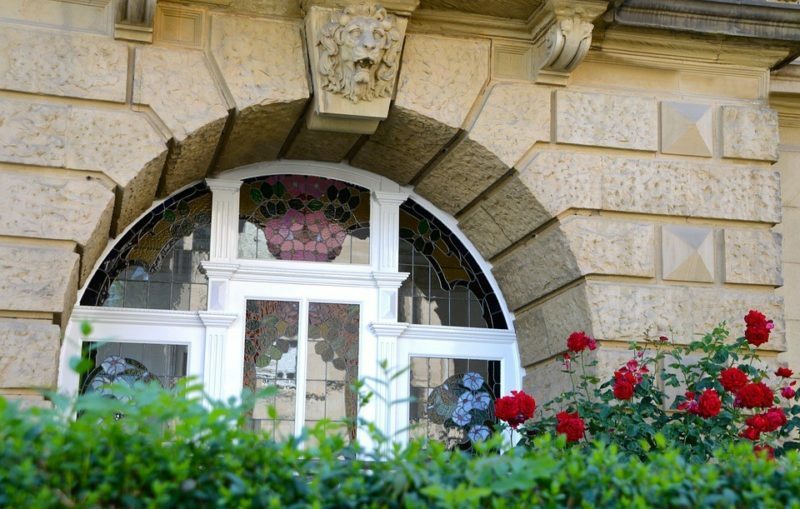 The best ways to correct this is to redo the windows with transparent glasses or introduce other forms of artificial light that don’t irritate the eyes. It’s very important for an office to have enough light, look spacious and well organized as this helps boost productivity. To maximise light, have your windows regularly cleaned by a professional company. We would recommend a local accredited firm such The Cardiff Window Cleaning Company who are based in Cardiff, South Wales. If more than one person is using the office, it’s better to use an open space layout. This will save on space and cost. This will make it easier for your staff to communicate and increase productivity in the office. 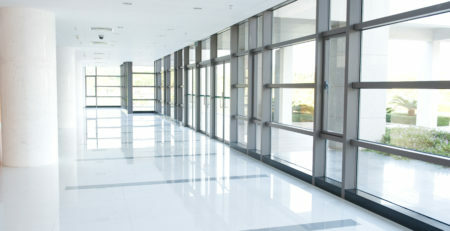 Even better, lighting from well-cleaned windows can be reflected everywhere in the office making the office look spacious and manageable at the same time. An open space layout is a brilliant idea when creating space in an office set up. If you want to create space in your office, you should consider the above. Also, make sure the office is well organized and lit. 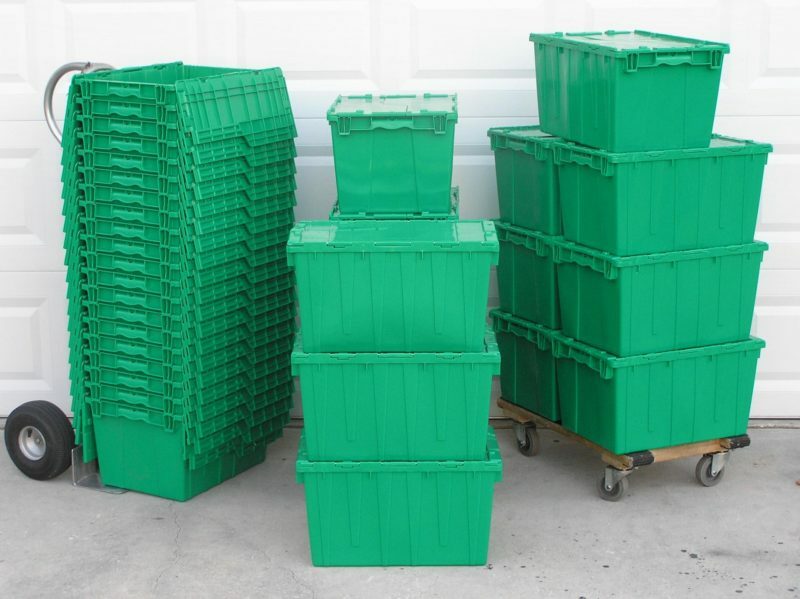 Anything that you don’t need in the office should be stored in a self-storage unit to increase office space. Sash Windows Widnes serves Widnes residents by replacing and restoring their traditional sash windows. We deliver to your address with full service, whether it is full service, draft proofing or a total overall. We transform your sash windows from super drab to ultra attractive and efficient. We believe in our products and services. Get a firsthand look at our quality of service authenticity the moment you hire us. At Sash Windows Widnes, we vow to deliver our best and stay true to our word. One of our defining principles is assuring our customers of the highest quality they deserve. Our clients in Widnes have seen the quality of our sash windows and know that we don’t relent till we provide excellent results. When it comes to sash window installations we search for effective, convenient methods of getting the job done in a way that will produce windows able to endure the test of time and the rigours of weather condition. We have built long-lasting relationships, thanks to our commitment to quality customer service. The advantages that come with draught proofing include prevention of dirt and dust from entering the home, elimination of annoying rattles, better insulation and sound proofing. At Sash Windows Widnes, our draught proofing system is a specialised process. 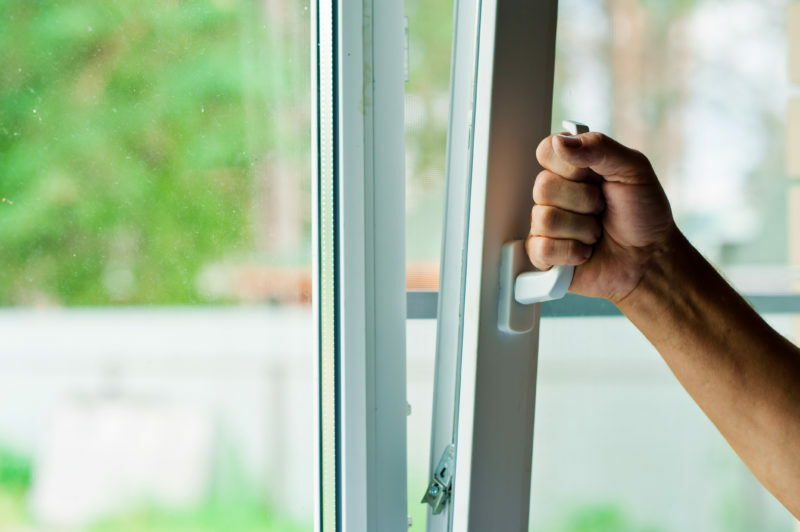 We prevent draught and cold air from penetrating your home by covering the gaps that surround the window. Some renovations can also be done as part of our draught proofing service, including properly sizing the sashes and fixing the sash window cords to make the window open smoothly. Working in Widnes for years, we have helped many homes resolve sash window issues. If you are a Widnes resident, then you have the opportunity to get your sash window double glazed by our staff. It is well-known that little insulation is provided by single glazed windows. Double glazing provides better thermal insulation, improves energy efficiency and makes the home a feel lot warmer. Companies that do double glazing are not all the same. Each offers varied results depending on the used solutions. Regardless of the solution used, it is assured to offer between 3 to 5 times greater thermal insulation than windows that are single glazed. Say goodbye to noisy neighbours the moment you have us do sash window installations. Living conditions become so much better when you hire a company to do what it does best. We have done various sash window insulation projects in Widnes including both commercial and residential properties. These renovations have helped to sound proof windows and make living conditions better for inhabitants of the buildings. Our sound insulation methods involve fitting sound-reducing acoustic glass which looks almost like regular glass. Technical expertise is necessary to soundproof a space and we are the company to successfully complete your soundproofing project. Whether your home is modern or classic, we provide custom made shutters that look absolutely stunning. We can deliver quality shutters in any number of finishes that will look beautiful in your home, whether you prefer custom-built shutter frames, sandblasting, or a specific type of wood stain or colour. You can choose remote controls shutter for automatic operation, or opt for manual shutters. Call is if you need sash window shutters in Widnes. Secondary glazing meets the laws of Heritage and Conservation as it doesn’t change your building’s character. If you are living in Widnes and want to renovate your home, whether it is modern or traditionally styled, we can fit or renovate sash windows to make it beautiful. We employ a straightforward process with the first consultation free of charge. Interested in finding out more? Contact us at our address below. Sash Windows Walsall specialises in replacing and restoring traditional sash windows for homes in Walsall. We provide full service that will cater to all your needs, whether it is a draught proofing, complete overhaul, to outright replacements. We transform your sash windows from super drab to ultra attractive and efficient. We believe in our installation and restoration services. Get a firsthand look at our quality of service authenticity the moment you hire us. At Sash Windows Walsall, we do not compromise our value and we promise to stay true to our word. One of our defining principles is ensuring clients get the top quality service they deserve. Our clients in Walsall respect the reputation of our work and know we will not give up until we find a solution. Our experts continue to research more effective and convenient ways to produce beautiful sash windows that stand the rigours of weather and time. We have built long-lasting relationships, thanks to our commitment to quality customer service. Get better rattle elimination and insulation when you draft proof your home. Sash windows also make your home sound proof. At Sash Windows Walsall, we use a specialised process for draught proofing system. We specialise in gap-sealing the window surround so that cold air can in no way get through. As part of the process of draft proofing, we fix cords and do sash sizing so that opening the window is smooth. Having operated in Walsall for years, we have resolved cases of faulty sash windows in many homes. It is possible to have your sash window double glazed by our team if you live in Walsall. Get better thermal insulation when you double glaze your windows. After all, everyone knows how limited insulation is with single glazed windows. Make your space more energy efficient by double glazing your sash windows today. The service and the solution used often determine the results that one gets from double glazing since it is different depending on the place. You get up to five times more heat insulation compared to single glazes when you go for the double glazing. Our shutters are specially made and complement any contemporary or traditional designed home. We can deliver quality shutters in any number of finishes that will look beautiful in your home, whether you prefer custom-built shutter frames, sandblasting, or a specific type of wood stain or colour. Plus, we can manually modify our shutters and use remote controls automatically. You can give us a call if your home’s sash windows in Walsall could use new shutters. Sash Windows York is well-known for restoring and replacing traditional sash windows for York homes. We provide full service that will cater to all your needs, whether it is a draught proofing, complete overhaul, to outright replacements. We transform your sash windows from super drab to ultra attractive and efficient. Your needs come first as our client and we are sure to produce windows that are both useful and gorgeous. As one of the best companies in our industry, we provide suggestions that prevent draught from entering the house during winter as well as make your home look beautiful. The centre of our business lies with our customer’s interest. We have confidence in our installation services and the products that we offer. When you hire us for our services, you will discover that you are backed by professional conduct and authenticity of the value we represent. At Sash Windows York, we promise to never compromise our value. Providing our customers with the utmost quality they need is one of our treasured principles. We make it our responsibility to succeed in any sash window project we are hired to solve. This includes using our skills to provide our customers with the best. No matter the complexity of the project, our team will get the job done. Our previous clients understand how well we pursue perfect results. We have formed a strong relationships with some of our customers who live in York given that our company was created years ago. We have built long-lasting relationships, thanks to our commitment to quality customer service. The advantages that come with draught proofing include prevention of dirt and dust from entering the home, elimination of annoying rattles, better insulation and sound proofing. At Sash Windows York, we use a specialised process for draught proofing system. We seal the gaps that surround a window so that it almost impossible for cold air and draught to penetrate your home. As part of the process of draft proofing, we fix cords and do sash sizing so that opening the window is smooth. Having been providing reliable service in York for years, we have tons of experience in fixing sash windows in home after home. If you are a York resident, then you have the opportunity to get your sash window double glazed by our staff. It is a fact that single glazed windows only provide minor insulation. Double glazing is a better choice because it makes your home warmer, provides better insulation and increases energy efficiency. No two companies are alike when it comes to double glazing. Your best bet is often to go with the tried and tested company that has been around for years. Regardless of the solution used, it is assured to offer between 3 to 5 times greater thermal insulation than windows that are single glazed. The inner city areas can be busy at times, or you might have noisy neighbours, whichever is the case, our services include reduction of noise disturbance. We have performed a considerable number of sash window insulation projects on both residential and commercial properties in York. Our renovations have aided in making living conditions better for home owners by sound proofing windows. Our methods of sound insulation involve doing fittings of acoustic glass which reduces noise and looks like normal glass. In order to complete successfully, sound proofing requires a seasoned technical expert as the process is quite complicated. You can easily add our shutters to a contemporary or traditional designed home because they are custom-made. We can deliver quality shutters in any number of finishes that will look beautiful in your home, whether you prefer custom-built shutter frames, sandblasting, or a specific type of wood stain or colour. Plus, we can manually modify our shutters and use remote controls automatically. If you are in York, and want new sash window shutters, we are the company to call. Maximise sound insulation with the secondary glazing we can provide you with, while have the least effect on the original window appearance. We accomplish this by giving the window a “double-glazing” or double window effect by fitting a fully independent frame. Minimising noise pollution effectively is the biggest advantage of secondary glazing. Increased energy efficiency is another big benefit.